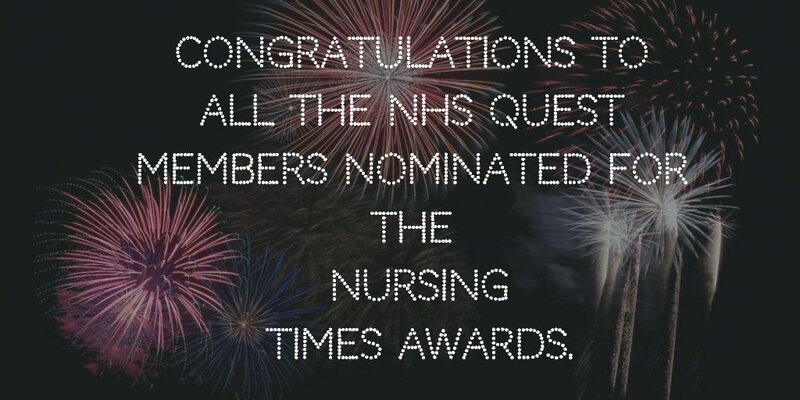 Congratulations to our fabulous Quest members nominated in the Nursing Times Awards for their excellence in nursing and patient care. Now in their 27th year, the Nursing Times Awards are the most respected and relevant awards in the nursing and healthcare sector and offer much-deserved recognition for the innovative and excellent care that nurses at all levels provide across the UK. There will also be a Chief Nursing Officers Award for Lifetime Achievement which will be announced at the prestigious ceremony – Good luck to all our members ahead of the awards are on 2nd November.